3425 Ridge Road Lansing, IL. | MLS# 10065753 | Welcome Evers Realty Group, your number one source on the web for NW Indiana Homes for Sale, Chicago South Suburban Homes and Indiana & Illinois Real Estate. Great downtown location, adjacent to Park Plaza and bike path. Has a built-in vault and private offices. 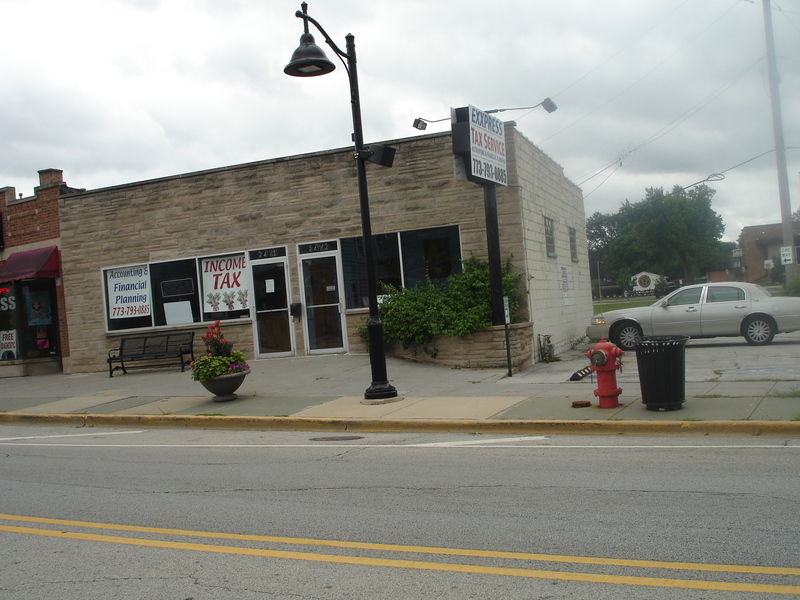 Lansing&apos;s Ridge Road Facade Program Property Available. being sold AS-IS. Seller will make no warranty, repairs or requirements of any type. Buyer responsible for all inspections including Village inspection and/or requirement of those inspections. Seller has an estimate for remediation work to be done. Water is not connected and condition of plumbing is unknown. Has 2 front doors 3425 & 3423 but it is just one building. There is a partial basement (approx. 512 square feet) under the west side for mechanicals and storage. Furnace and CA - 1998. Roof and tuckpointing - 2004. Financial figures are unavailable.